Size of this preview: 800 × 477 pixels. Other resolutions: 320 × 191 pixels | 640 × 382 pixels | 1,024 × 610 pixels | 1,280 × 763 pixels | 2,355 × 1,404 pixels. current 11:16, 4 July 2014 2,355 × 1,404 (559 KB) Jeff.lasovski (talk | contribs) I corrected the mistake on the picture. 09:46, 4 July 2014 2,052 × 1,323 (416 KB) Jeff.lasovski (talk | contribs) Once again - design improvements (I had rewrite the everything and had made a new picture). Also, spam has been removed. 09:41, 4 July 2014 2,052 × 1,323 (416 KB) Jeff.lasovski (talk | contribs) The design has been improved. Spam has been removed. 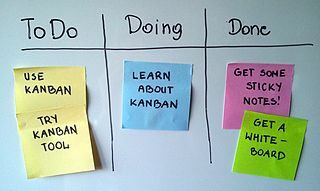 08:31, 5 May 2014 1,736 × 918 (557 KB) Rougieux (talk | contribs) Remove advertisement for a commercial Kanban offer.